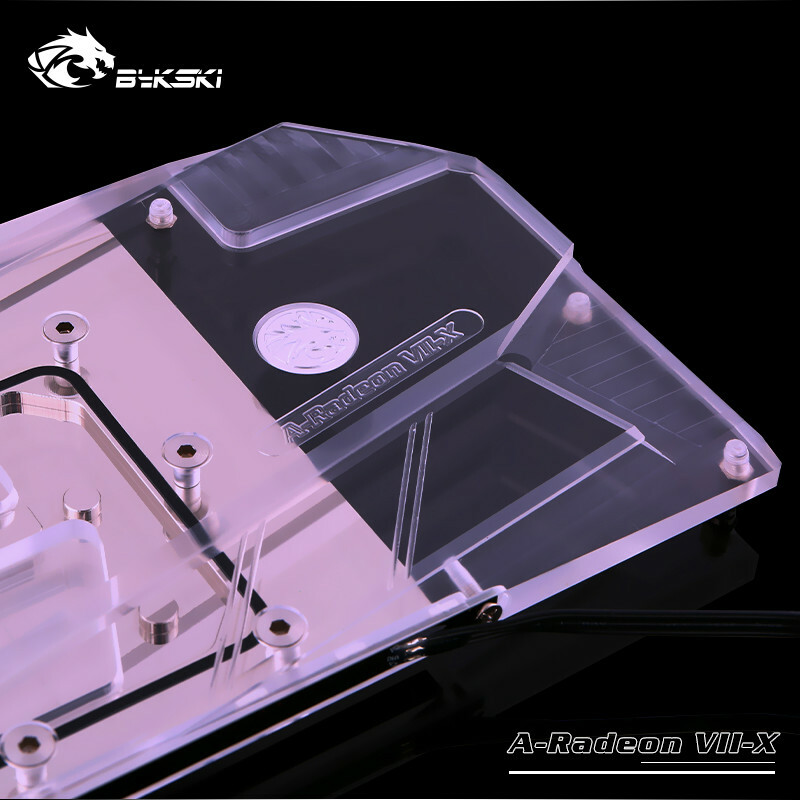 Chinese liquid cooling major Bykski rolled out one of the first full-coverage water-blocks for AMD Radeon VII, the Bykski A-Radeon VII-X. 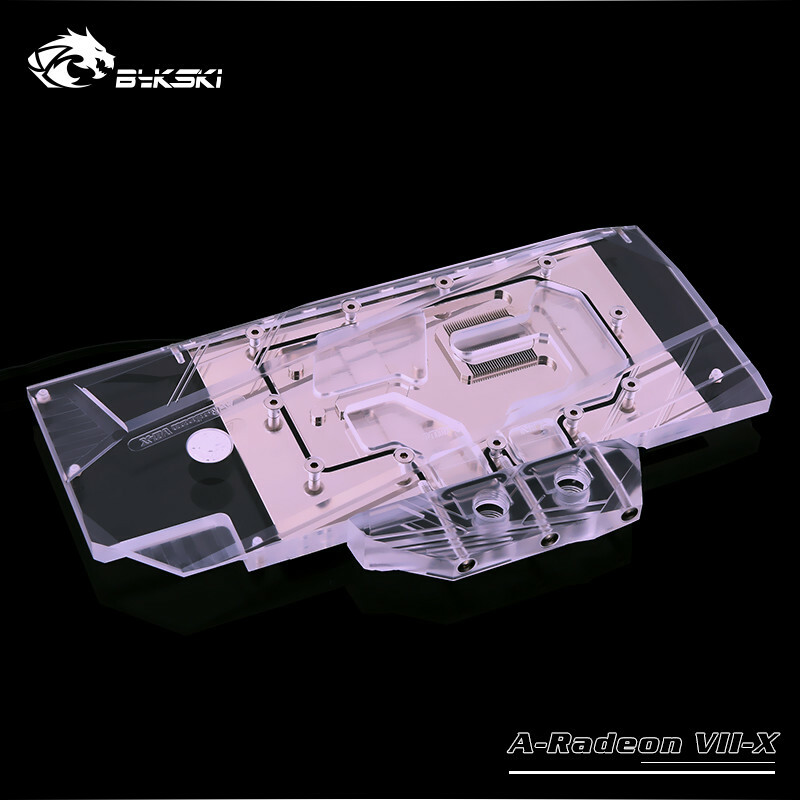 This block uses nickel-plated copper as its main material, with a clear-acrylic top. The metal part doesn't span the entire length of the block, since AMD has concentrated all heat on the Radeon VII through its multi-chip module approach, and hot VRM components surrounding the MCM in close proximity. The acrylic top spans the entire length of the reference PCB for cosmetic reasons. The top is studded with nine addressable RGB diodes that take in a standardized 3-pin aRGB header input. The block supports standard G 1/4" fittings. The company didn't reveal pricing. Check out GamersNexus, they did a custom watercooling fit test. Starts shipping 25th of March. It is tempting. Let's see if some shops in Europe will bring this. Anybody here used Bykski products before? I am not too familiar with this brand here is Europe. 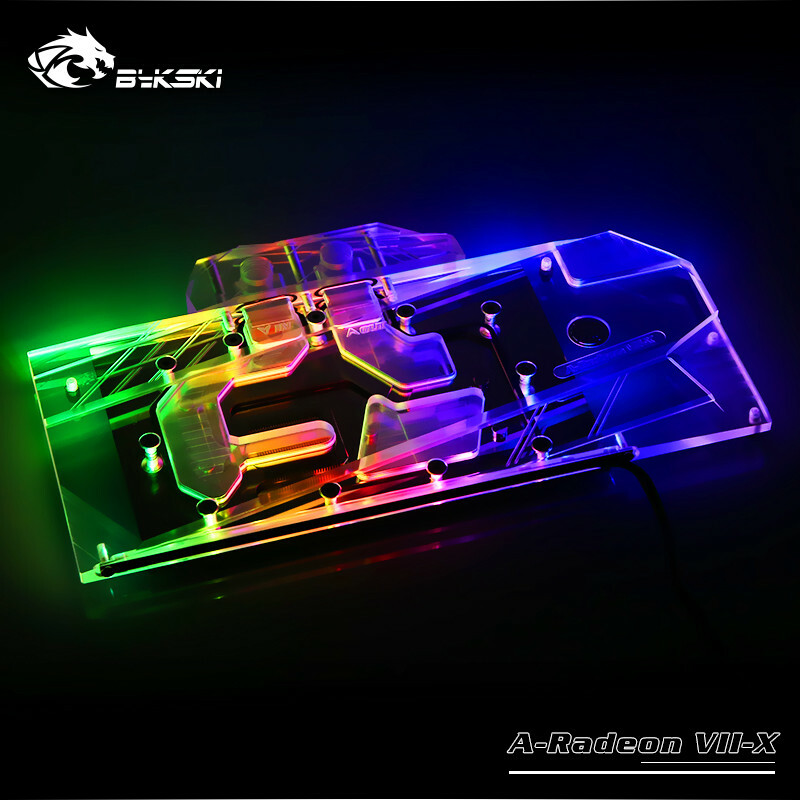 Most probably I will wait for EKWB. It does not cost me extra customs duty to order from Slovenia to Germany. I wrote to EKWB yesterday, and their support representative said they will be also bring their block for Radeon VII in around 4 weeks time. This is how my Vega 64 looked with EKWB on it. I sold that nice card on eBay after moving to Radeon VII. Yeah I've seen it. It's just, one block can't equal to the other. Wonder what's this block's performance. Either way I was impressed by the VII and I really want one. It's just currently can't find any. The other question is, will the drivers improve? Or is it just a wishful thinking? VII is some games is just sky rocking with performance in others doesn't. That can be the driver. Jokingly its referred to as "AMD Fine Wine" technology, basically AMD tends to make their cards better over time as drivers mature so yeah we could see some performance gains in the future. And while true that one waterblock does not equal the other, what was clear from the GN vid was that the water solution improved thermals immensely and that it was not thermals that was stopping their OCing efforts so what they got there is, to say the least, highly likely the same result (given the same drivers) as you would get with this one. That's one of the reasons I want to buy RVii :) Besides I think it is really a good card with what It offers and if the performance will increase in time, that's even better. What I think also, RVii is more future proof card. Not because of it's features but in terms of hardware it has. 16Gb mem, fast mem etc. I think also performance will improve with driver updates. It seems like the release was a little bit rushed, but they are already working on improving it. They released two bios updates already since January. 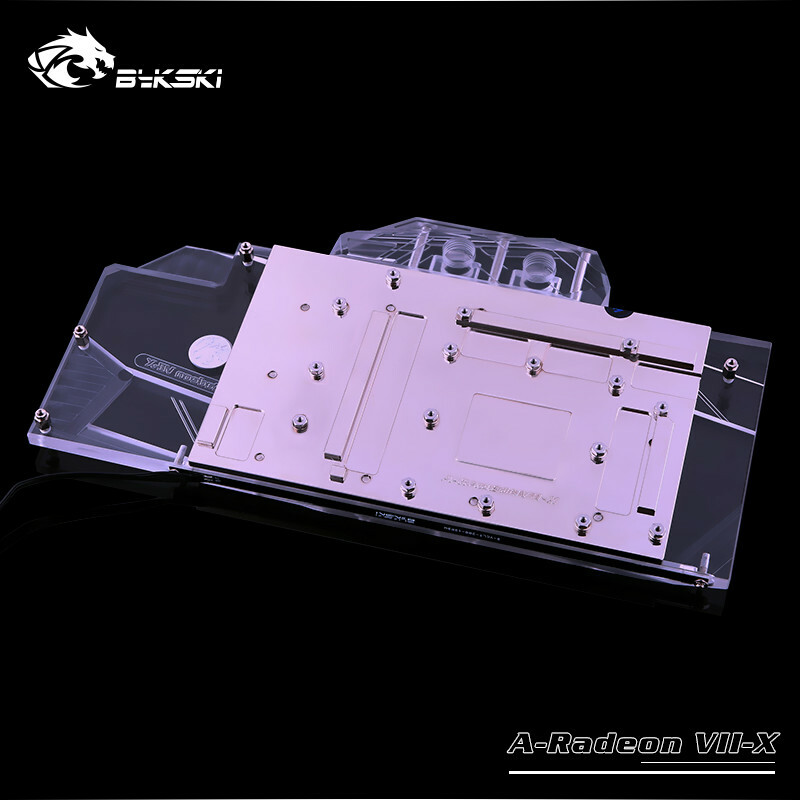 Water block will also bring performance boost. It was same with Vega 64 where replacing the cooler with water block and undervolting brought good improvements. That's totally true. I can say the same thing about my Vega 64 Red Devil. I didn't install water block on it but the drivers and tweaking the OC did boost it quite significantly. On top of that the RVii's have way more potential.